Abandoned Train in Salt Desert Bolivia? 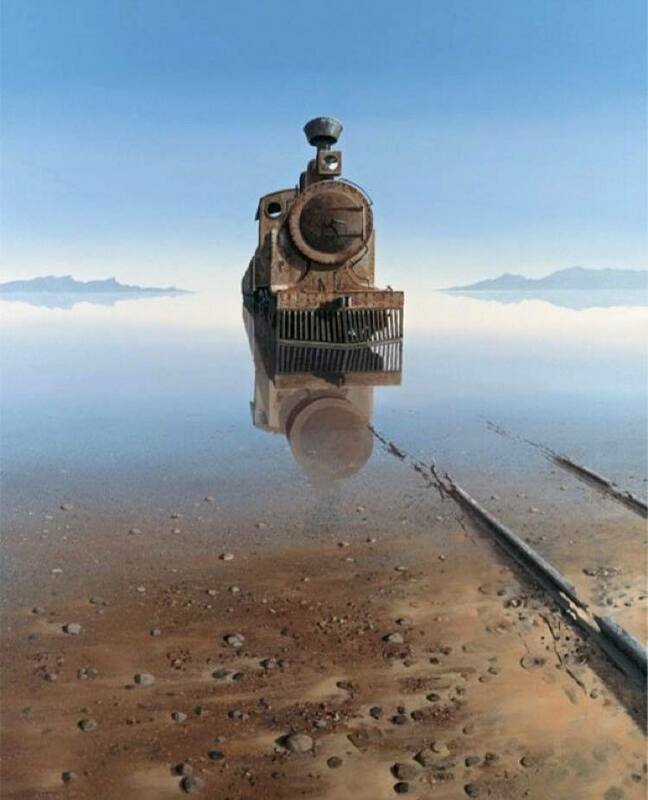 Is this a photo of an abandoned train in salt desert in Bolivia? That is actually a painting called the Dead End by South African artists Keith Alexander. Read the background story via Desert Art (archived here). The train called ‘Martin Luther’ in Namibia was the inspiration to this painting.